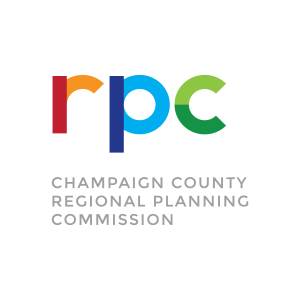 The Champaign County Regional Planning Commission will be recognized as the premier regional planning and development agency in Illinois by providing innovative, high-quality, sustainable services that improve the lives of all residents. Promote, plan and facilitate improvements to health, safety, welfare, education, economic conditions, environment, and development within our region. All services will be performed in the spirit of cooperation and with a regional vision to enhance the quality of life. The ability of the Champaign County Regional Planning Commission to achieve our vision and fulfill our mission is based on the consistent application of our organizational values, which are practiced every day by the members of our team. Integrity – We deal honestly and fairly with those we serve and with each other. Diversity – We recognize and appreciate the strength that a wide variety of people, backgrounds, experiences, and ideas contribute to our organization and community. Responsiveness – We respond to the needs of our clients, partners, coworkers, and community in a timely fashion, and provide services in a friendly and efficient manner. Professionalism – We demonstrate knowledge, enthusiasm, courtesy, dedication, resourcefulness, and fiscal responsibility in all work-related activities. Collaboration – We practice teamwork internally, build partnerships externally, and promote inter-governmental cooperation regionally. Respect – We respect our clients, partners, co-workers, community, and the resources we use to serve their needs.